America is a diverse place, with a wide diversity of opinions on what it means to be an American. As Coke is quickly finding out. 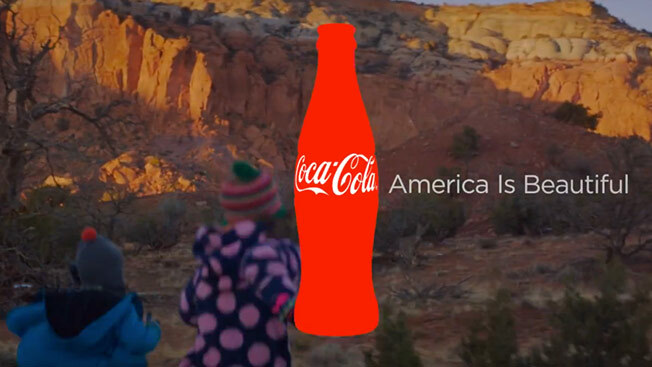 The brand's touching It's Beautiful Super Bowl spot, which featured a multiethnic cast of characters singing America the Beautiful in English and lots of other languages, didn't go over well with some viewers. Based on the tweets piling up via the associated hashtag #AmericaisBeautiful, while many are thrilled with the ad, lots of other folks aren't so happy. Especially with the non-English part. @BornUnderReagan @gardenofthegods Insult to my Finnish ancestors.